ACES data reveals health shaped by family environment. Join us for the 2019 Bowen Theory Conference! Click here to download the brochure and registration form! From birth to grave people live in some sort of family environment. Family relationships surround the individual, shaping psychology, affecting physiology, and regulating behavior. 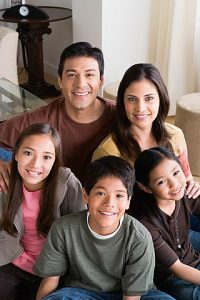 The family mediates the connection between the individual and the larger social community. A steadily growing literature suggests that those relationships have a significant influence on the health of individuals. The interpersonal pathways of stress transmission in the human family provide one pathway influencing health. Shifts in family stress and tension can provoke and sustain an acute health crisis in one or more individual. The ACEs data suggest that beyond the acute health crisis, the family environment can shape the health of a person across the lifetime. In turn a person’s health affects relationships and his or her ability to be at one’s best with others. Click here to download the brochure and registration form! Get more updates from Catholic Charities.